Announcement in NorthShore Magazine, May/June 2016. 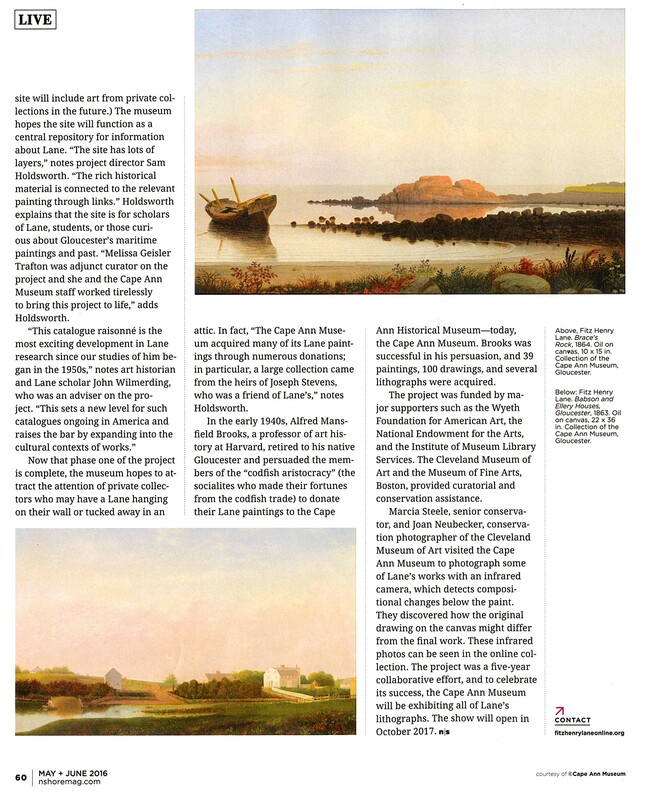 Citation: "Northshore Magazine Features Fitz Henry Lane Online." 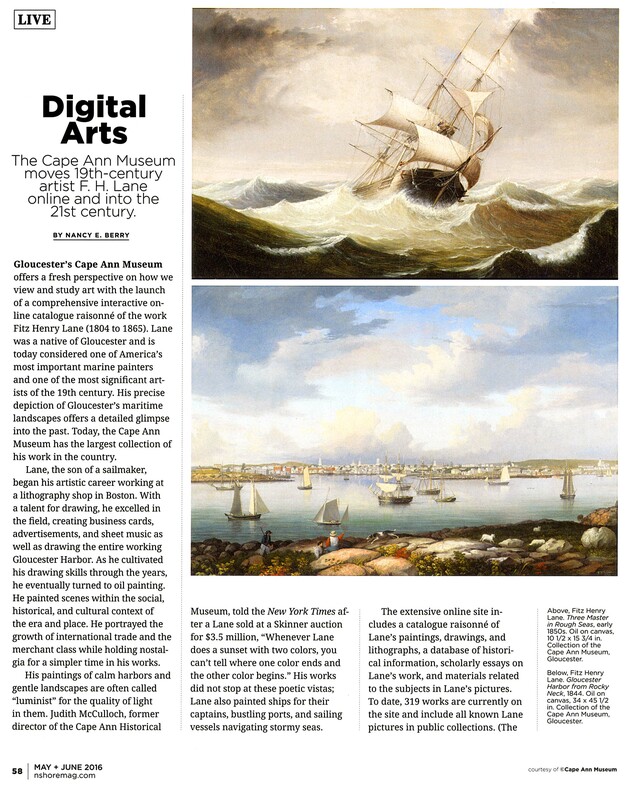 Fitz Henry Lane Online. Cape Ann Museum. http://fitzhenrylaneonline.org/page/news.php?id=3 (accessed April 23, 2019).